Due to the uncertainty and complexity of socioeconomic environments and cognitive diversity of decision makers, the cognitive information over alternatives provided by decision makers is usually uncertain and fuzzy. Dual hesitant Pythagorean fuzzy sets (DHPFSs) provide a useful tool to depict the uncertain and fuzzy cognitions of the decision makers over attributes. 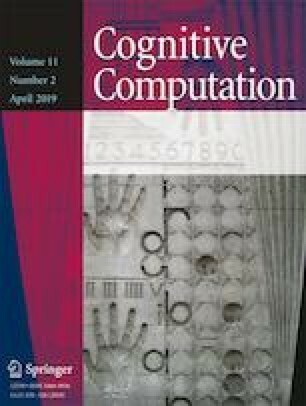 To effectively handle such common cases, in this paper, some Bonferroni mean (BM) operators under DHPFS environment are proposed and some methods for multiple attribute decision-making (MADM) problems based on the BM operators with dual Pythagorean hesitant fuzzy numbers (DHPFNs) are investigated. Firstly, some new BM operators to aggregate dual Pythagorean hesitant fuzzy cognitive information are developed, which consider the interrelationship of DHPFNs, and can generate more accurate results than the existing dual Pythagorean hesitant fuzzy aggregation operators. Then, the developed aggregation operator is applied to MADM with DHPFNs and two MADM methods are designed, which can be applied to different decision-making situations. Based on the proposed operators and built models, two methods are developed to solve the MADM problems with DHPFNs and the validity and advantages of the proposed method are analyzed by comparison with some existing approaches. The methods proposed in this paper can effectively handle the MADM problems in which the attribute information is expressed by DHPFNs, the attributes’ weights are completely known, and the attributes are interactive. The work was supported by the National Natural Science Foundation of China under Grant No. 71571128 and the Construction Plan of Scientific Research Innovation Team for Colleges and Universities in Sichuan Province (15TD0004). ᅟThis article does not contain any studies with human participants or animals performed by any of the authors. Wei GW, Lu M. Pythagorean fuzzy Maclaurin symmetric mean operators in multiple attribute decision making. Int J Intell Syst. 2018;2016. https://doi.org/10.1002/int.21911.